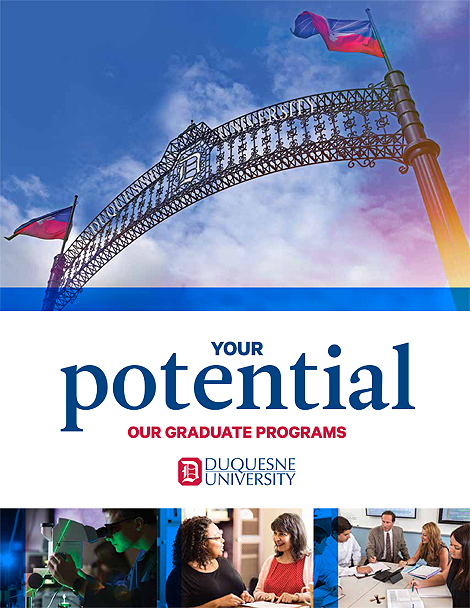 We are very glad to see your interest in realizing your potential by pursuing graduate education at Duquesne University. As a close-knit community, we pride ourselves on working individually with our candidates throughout the admissions process. This page is your roadmap to help guide you through all phases of the admissions process. We hope this will serve as a handy reference point that you can refer to regularly. Know that we are here to help. You can feel free to contact us at any time with questions you may have. We look forward to working with you!